It was a moment of suspense. Firstly, the opening of the preview had been delayed for two hours as the exhibition was not ready; then. just as I was speeding to Room 5 in the British Museum, the fire alarm went off. Eager ticket holders massed at the entrance, muttering darkly. Finally - phew! - it was declared safe to go in. 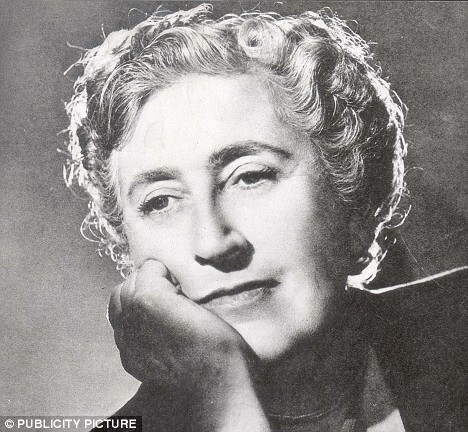 Agatha Christie and Archaeology - Mystery in Mesopotamia tells the story of the celebrated crime writer’s twin passions - for the ancient history of the Middle East, and for Max Mallowan, her second husband, with whom she had an intensely happy and productive relationship. In 1928, still traumatized by her divorce from her first husband, Archibald Christie, she embarked on the Orient Express en route for Baghdad, where she was to stay with friends. In those days Baghdad was an exotic holiday destination for the wealthy. 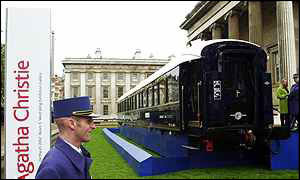 The first room of the exhibition recreates very successfully the excitement of setting out on such a trip, with film, sound and exhibits from the fabled train. Outside the museum’s main entrance is a whole Wagon-Lits carriage, which you can walk round and gaze enviously at the fabulous fittings. During that first visit to Baghdad Agatha was taken to Ur, then being excavated by Leonard Woolley. At this ancient city, dating from the third millennium BC, he had uncovered huge royal burials containing many exquisite artefacts, and the unmistakable evidence of sacrificed royal retainers had sent a frisson of excitement through London society. Agatha made an excellent impression on Leonard Woolley and his wife Katherine, who loved her books. They invited her to return to the site in 1930. It was during this second visit that Agatha met Max Mallowan, who was working with Woolley on the site. He was fifteen years her junior, but she was instantly attracted to the “thin, dark young man” who was “very quiet – he seldom spoke, but was perceptive to everything that was required of him.” When Katherine Woolley suggested he should accompany Agatha on a trip round the surrounding countryside, the romance quickly took off. They were married later the same year. The exhibition demonstrates how remarkably the couple inspired one another, and how the careers of both burgeoned as a result. Agatha was completely gripped by archaeology, and when max was appointed to dig at Nineveh, capital of the Assyrian empire, in 1931 under Reginald Campbell Thompson, Agatha accompanied him. The parsimonious Campbell Thompson was scandalized when Agatha insisted on buying herself a writing table so that she could continue her work. She mollified him by sending him a cheeky Valentine on the subject, the original being one of the more off-beat exhibits. As the years passed, and Max directed his own digs in Iraq and Syria, she became an integral part of the team, discovering a talent for piecing together broken pots. Alongside this she wrote some of her best books, all inspired by the Middle East and archaeology - Murder on the Orient Express, Murder in Mesopotamia,Death on the Nile, Appointment with Death, They Came to Baghdad, and Death Comes as the End, a real Ancient Egyptian murder mystery, based on the Heqanakht papyri. Agatha’s lifelong love of Egypt began before she met Max, and they visited it many times together. In the 1970’s she wrote a play about the “heretic” pharaoh, Akhenaten, which was scrupulously researched. 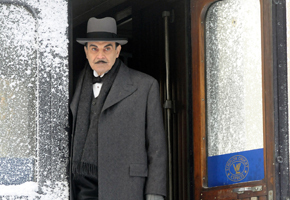 One of the delights of this exhibition is to see Agatha’s own photographs and films. She was a keen photographer, and you can trace the development from picturesque snapshots of workers on the sites, through photographs of finds, to really accomplished films, which evoke the past in a unique way. Taped extracts from Agatha’s autobiography and the story of her husband’s excavations, Come, Tell Me How You Live, written in London during World War II while Max was posted to North Africa, add to the nostalgia. Agatha died in 1976, and Max wrote a moving tribute to her in his own autobiography, published a year later. It was a true marriage of minds. There is something for everyone here – film buffs will love the original designs and costumes from Death on the Nile. I shall have to return to see the rest of the archaeological objects – one case was still empty when I left. The book edited by Charlotte Trumper to accompany the exhibition is well worth the £19.99 price tag. It contains a wealth of highly readable articles and many sumptuous illustrations, including excellent examples of Agatha’s photographs. The exhibition runs until 24th March 2002 – don’t miss it. .